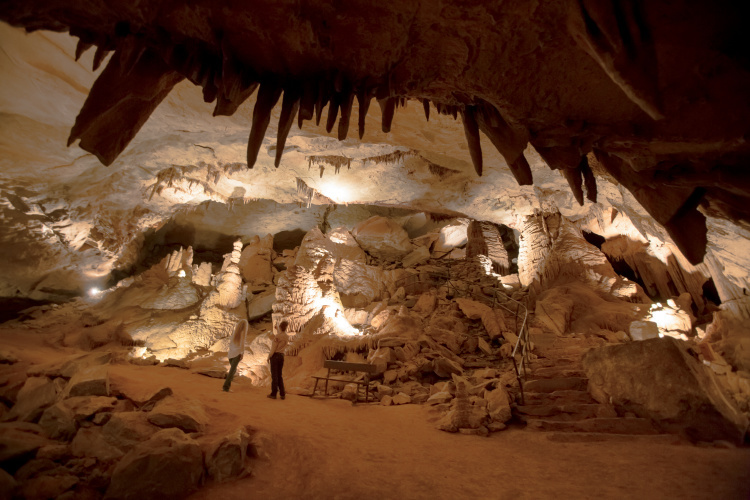 Discovered in 1810 by land surveyor Aaron Higgenbotham, Cumberland Caverns in Warren County harbors rich American history and wonders of a hidden world. 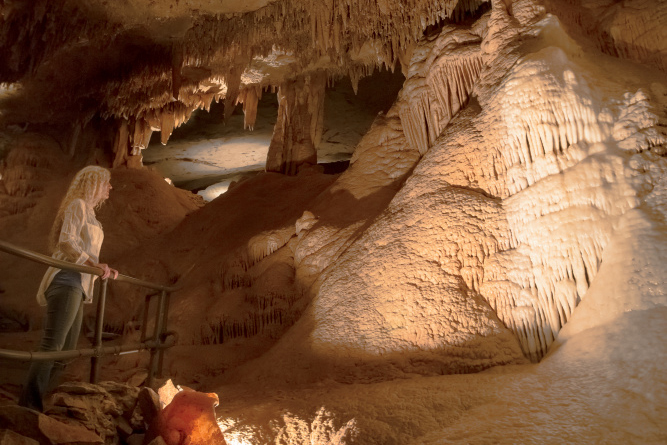 As America’s second-largest cave, Cumberland Caverns boasts sparkling gypsum-covered formations, a never-ending waterfall and stone chess pieces millions of years in the making. Open seven days a week from 9 a.m. to 5 p.m., Cumberland Caverns offers 32 miles of stalactites, stalagmites, soda straws and more – 333 feet below the earth’s surface. After its 1810 discovery, the caverns were used for saltpeter mining to make gunpowder for both the War of 1812 and the Civil War. Eventually, Cumberland Caverns opened its doors to the public on Independence Day in 1956. That first tourism year experienced about 500 visitors, a number that has grown steadily and significantly over the years – 2016 saw over 50,000 adventure seekers. 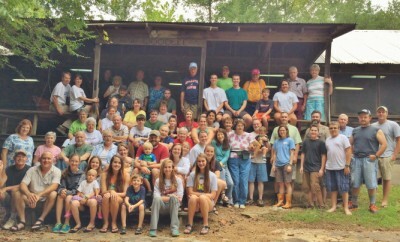 Throughout its history, Cumberland Caverns has been used as a location for social gatherings for people in Warren County. 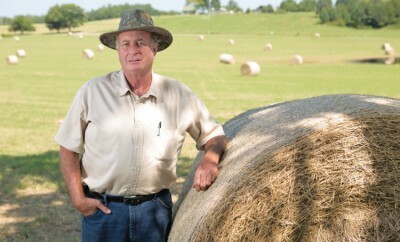 “People would come to the cave for ‘hay wagon parties’ and venture deep inside to enjoy dancing, music and the company of their friends and family,” Roberts says. And it still does to this day – last year Cumberland Caverns welcomed tourists from all 50 U.S. states and 19 countries. 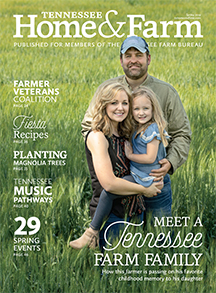 “These people stay, eat and shop in the nearby town of McMinnville, making it a great partner in tourism to have,” Roberts says. And outdoor enthusiasts, take note: The caverns join nearby waterfall-laden state parks Rock Island and Fall Creek Falls on the Pie in the Sky Trail, part of the Discover Tennessee Trails & Byways program. Listed among some of the most prestigious top 10 lists in the world, Cumberland Caverns allows summer vacationers to beat the heat with the 32 miles of 100 percent naturally air-conditioned adventures. Please call ahead before driving long distances. 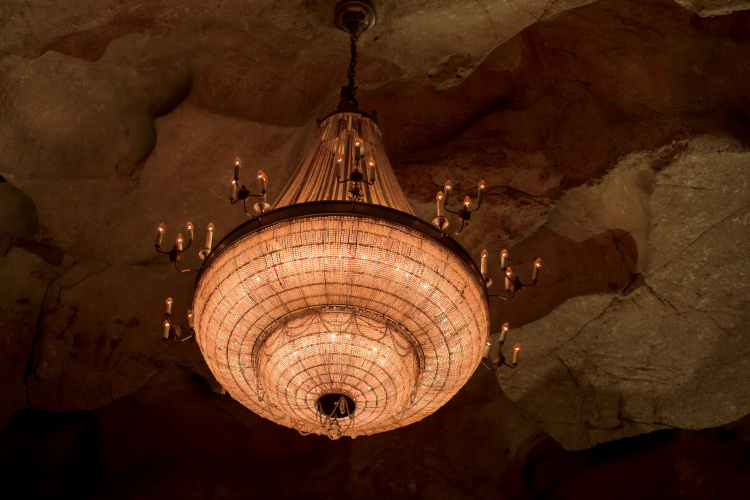 According to Roberts, the caverns maintain a temperature of 56 degrees year round, creating ideal conditions for hiking, camping or catching a concert, especially during warm months when these outdoor activities would normally be uncomfortably hot. 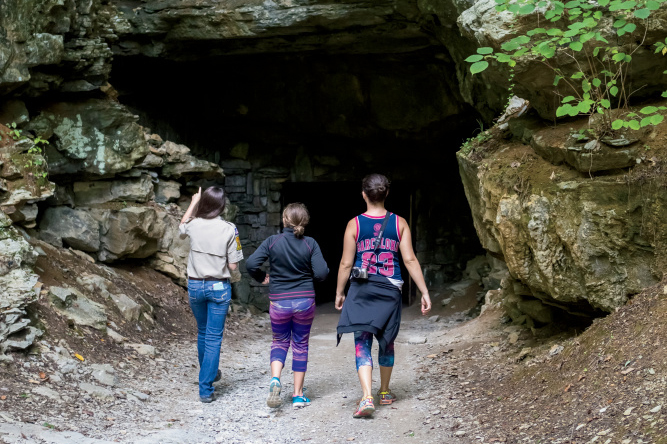 Cumberland Caverns offers four adventure tours for spelunking – an extreme form of hiking in deep, challenging areas of the cave that requires safety gear – which vary by experience. 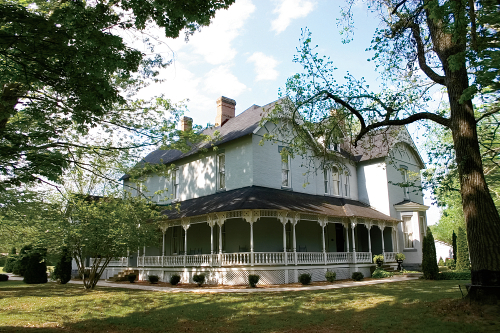 Regular walking tours, with running water and electricity available, are offered to the public daily. Additionally, visitors can camp in the cave’s 10-acre room located 333 feet underground. “While taking an adventure tour to remote parts of the cavern, you will witness rarities such as angel hair, gypsum flowers and spectacular formations not seen anywhere else,” Roberts says. In addition to its natural scenery, the formations of Cumberland Caverns serve as a serene backdrop for its music venue, the Volcano Room. 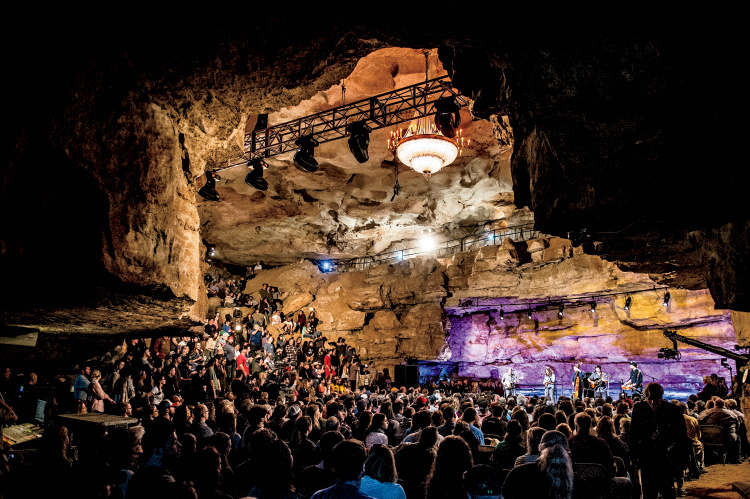 Best known as former host to the award-winning PBS concert series Bluegrass Underground, the Volcano Room is considered one of the top live music venues in the world because of its “near-perfect” acoustics, Roberts says. The Volcano Room has seen a rich diversity of talent in the past: Vince Gill, Kenny Loggins, The SteelDrivers, Nitty Gritty Dirt Band, Old Crow Medicine Show, Widespread Panic and Mac McAnally, to name a few. Its new series is called Cumberland Caverns Live – check the website to purchase tickets for upcoming shows. Between the concerts and spelunking among rare formations, there’s something to admire at every turn – just beneath the surface.